No two children are the same. Understand how YOUR children learn best! I will show you, step-by-step, how to create a personalized learning plan that will grow with your child(ren) from preschool through high school! How can I make the most of the time our family has together? How do I know what my child needs to learn (and when)? How can I raise my children to have a positive attitude about learning? Sign up now to get our early-bird price of just $17! Not ready yet? That's okay! 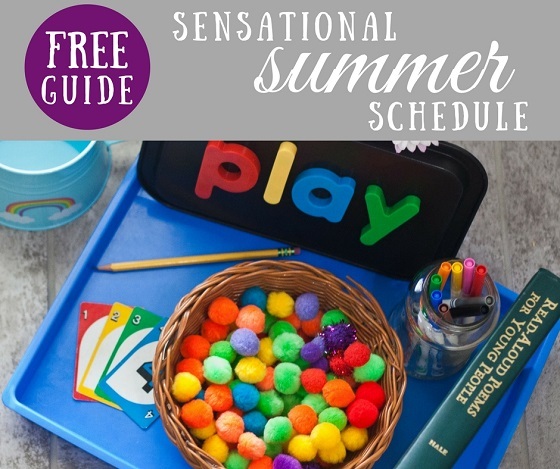 Grab our FREE Sensational Summer Schedule Guide with 40 activity ideas and a printable planning tool right here. She is also a homeschooling mom to her two daughters, ages 10 and 6. Melissa is passionate about empowering hands-on parents to be their child's first teacher. Her online community, Rolling Prairie Readers, is a place where all moms are free to leave comparisons behind and embrace the parent they were meant to be. Course content is now available! Stay tuned for even more: audio downloads and printable resources. Make the Most of Your Family Time! Tip # 1: Identify your child’s learning style. Tip # 2: Choose the next skills your child should be learning. Tip # 3: Set goals with (and for!) your child. Tip # 4: Build stamina and independence. Tip # 5: Create personalized "learning through play" opportunities for your child. What Should Your Child Learn Next?